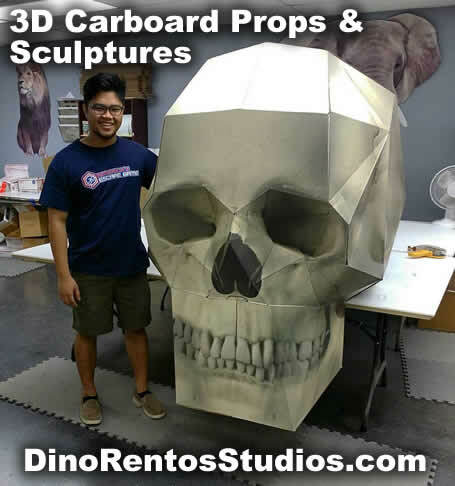 3D Cardboard sculpture Skull - Dino Rentos Studios, INC. Awesome 3D cardboard Giant Skull sculpture/Prop. Comes to you as a kit, so it requires your assembly expertise. Reference the assembly videos. Takes 2 people 2 hours or more to assemble. If hanging is desired, a custom wooden skeleton frame is required. Custom Versions available, call for details.